For those of you who work with more than one model space viewport, AutoCAD 2015 adds some changes to this working environment. Once one or more additional viewports have been created, the active or current viewport is now displayed with a bright blue rectangle within the dark grey viewport boundary. Switching from viewport to viewport still requires a left click in the viewport to make it current. 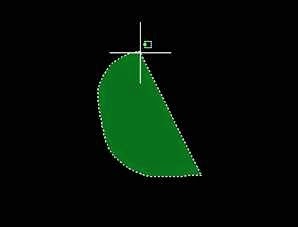 The viewports can now be easily resized by dragging the dark grey boundary, selecting the corner point where viewports meet allows all adjoining viewports to be resized, a bit like 3DS Max. Dragging the selected viewport edge and holding down the CRTL key allows the viewport to be split in either a horizontal or vertical direction. 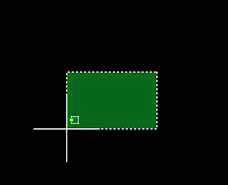 To join two viewports hover over the grey boundary edge of the main viewport, a white double headed arrow will be displayed then drag the grey boundary over the adjoining viewport, the total area is now highlighted with a white box releasing the mouse button joins the two viewports. Viewports to be joined now don’t have to be the same size but must have a common horizontally or vertically distance. CRTL + R still allows viewport cycling, sub dividing of the viewport can still be accomplished via the “VIEW” drop down in the “MENU BAR”, the maximum number of viewports is still set to 64 why would you what anymore? 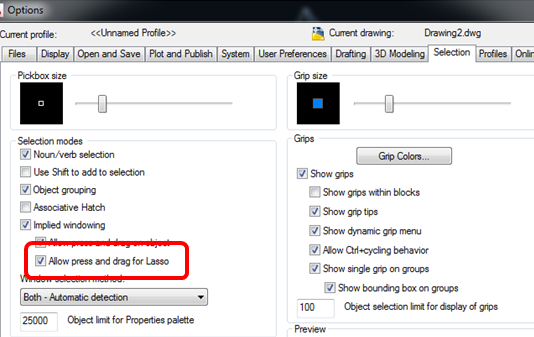 Selecting objects has now been made easier with additional on “SCREEN VISUAL FEEDBACK” and with the new “LASSO” function, this selection method may be new to AutoCAD but it’s not new to Autodesk since it has been in 3DS Max for some time. 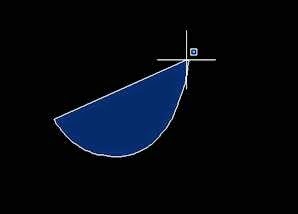 To use the “LASSO” function left clicking in blank area of the drawing, keep the mouse button held down and move the mouse, releasing the mouse button will close “LASSO”. Dragging the “LASSO” to the left gives the equivalent of “CROSSING” boundary, selecting any object that is either inside or the “LASSO” boundary crosses. 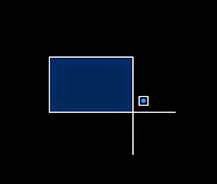 Dragging to the right gives the equivalent of a “WINDOW” boundary, only selecting objects that are within the “LASSO”. Pressing the space bar will toggle the “LASSO” from “CROSSING” to “WINDOW” selection. The “LASSO” boundary can also cross over itself, holding down the shift key will also remove objects from the selection set. “CROSSING” and “WINDOW” badges also appear at the cross hairs depending on the direction of the drag. The “LASSO” selection method is turned on by default, but can be turned off via the “SELECTION” tab within the “OPTIONS” dialogue box. Using “WINDOW” and “CROSSING” selection methods now also display the relevant badges.